How Free Online Aptitude Tests Can Help You To Prepare For Your Job Aptitude Test? Nowadays, most of the employers are taking aptitude tests to become a part of the hiring process as it offers an opportunity to the hiring managers to assess the working ability, intellectual skills and the level of interaction and cooperation with others in the workplace. If you want to get closer to your dream job, you need to get prepared for it and free online aptitude tests are the best way to get prepared. The basic purpose of designing an aptitude test is to evaluate and analyze the intellectual skills of a person like verbal, numerical as well as mechanical reasoning. In order to succeed in all these aspects, pre-preparation is considered to be of crucial importance so that you can score higher in professional or pre-employment tests. How free online aptitude tests help you in getting prepared? Although, there is no one common structure for aptitude tests and the test may greatly vary from different employers, companies, job positions and job levels. However free online tests may be useful in gaining some understanding about the format and technique of your job aptitude test. Through online aptitude tests, you will get familiarized with the content of such tests. Numerical and verbal aptitude tests usually comprise of multiple choice questions that need to be completed in a short time period. Familiarity with the content and the type of questions through online tests will definitely give you a competitive edge. Train your brain: Preparing for aptitude tests online is similar to practicing before any exam or test. You will be giving answers to different questions which will train your brain. You will be able to identify different frameworks that will be useful for problem-solving. With these abilities, you will improve your test result significantly. A majority of aptitude tests are administered online and practicing free online tests will serve as a near-to-real medium for your job aptitude test. You are also able to improve your vocabulary with free online aptitude tests. Verbal aptitude tests available online requires answering questions quicker and faster which increases score and your aptitude as well. Every aptitude test is timed which enables your ability to complete tasks and finish answering questions rapidly, correctly and on time. Through online tests, you will be able to improve your test timings which can be very helpful in your job aptitude test. Different job positions require the candidate to attempt different types of aptitude tests. This renders certain areas to be easy to attempt and some areas to become difficult. 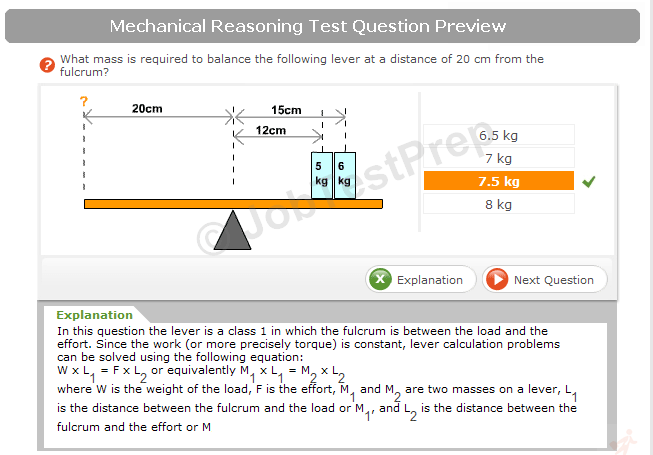 For example, a test for a managerial position will be more difficult as compared to a test for an entry role. There are several types of online tests available which allows you to practice the right type of test questions. In order to produce the best scores from aptitude tests, it is important that you are in a good mental state. Tiredness will damage your score severely. 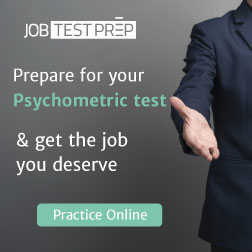 Though, job aptitude tests are somewhat longer than online tests, online aptitude tests allow shaping your mental ability and regaining your energy. Job aptitude tests may appear to be quite daunting and the key to become successful and score higher in such tests is practicing and preparing in advance. Free online aptitude tests are a good source to work upon your capacity to fulfill the job position with all its responsibilities and expectations. Moreover, online tests are also very useful to improve your confidence level which will be quite helpful in attaining good scores and ultimately the job your desire. So, if you are going to appear for a career aptitude test, then go for a free online aptitude test to test, assess and improve your skills and knowledge. Through free online tests, you can master your strengths and overcome your weaknesses.